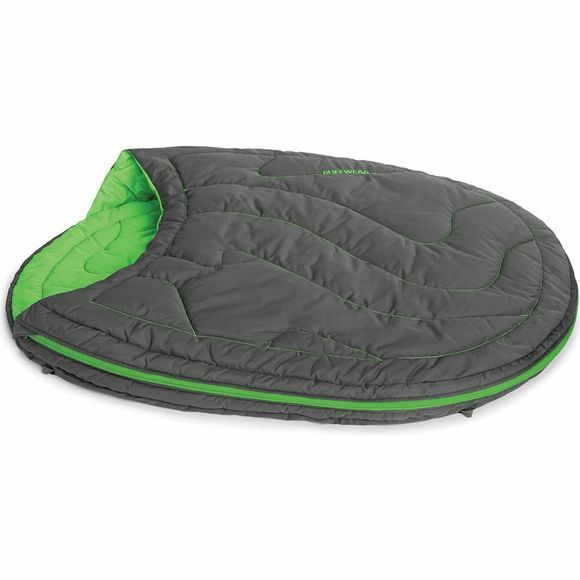 The Ruffwear Highlands Sleeping Bag is a packable, durable dog's sleeping bag for warmth, comfort and insulation on the trail. The zip opening allows the bag to open wide, then zip closed to retain your dog's body heat. Lightweight synthetic insulation provides warmth and protection from hard, cold surfaces and compresses into an included stuff sack. Integrated pad sleeve accommodates the Ruffwear Highlands Pad (available separately) for additional insulation in extreme cold. 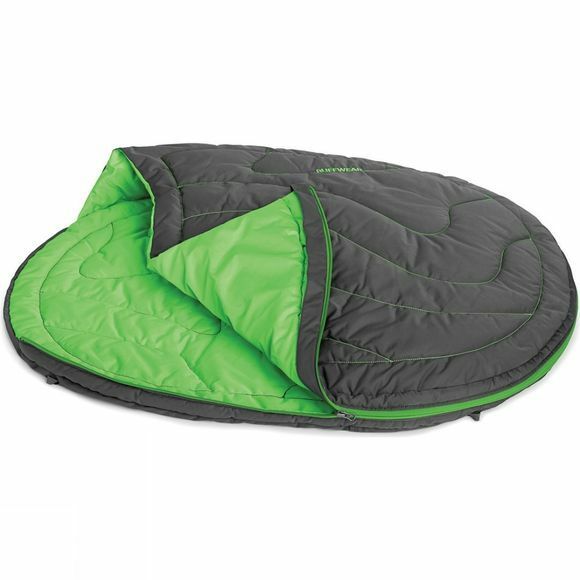 Durable polyester fabric shell provides a comfortable sleeping surface and cleans with a shake.